Entertainment is something we all look forward to, but entertainment on your iPad or iPhone is rather impressive right? There are a lot of apps out there which were made for entertainment, but it turns out that not all of them are good or even worth a download, so choose your apps correctly to avoid downloading ‘Junk Apps’ which are of no use. Well here are our selection of ‘The best entertainment apps for the iPhone, iPad and iPad Mini’. 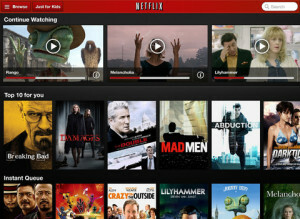 Netflix is a provider of On demand Internet streaming media, they offer more than 100,000 titles and their collection is impressive. Download this free app and get access to millions of TV programmes and also films which are on demand. Subscribe and you get access to all the movies and TV programmes that you’ve ever wanted. It’s a classic entertainment app and its something you shouldn’t miss out on. They’ve got millions of subscribers to whom they’ve always been faithful, so there isn’t a risk involved in subscribing to them. You shouldn’t be worried at all. This app would easily make the top 5 best entertainment apps as well. If you really love movies, this isn’t something you should miss out on. All you need is the app and a love film account and voila! 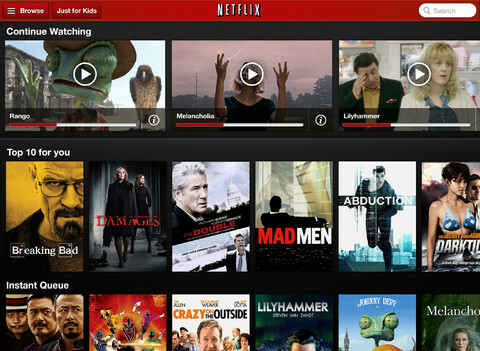 you can stream movies directly to your iPad and watch it. There are some faults with the app as it doesn’t allow you to manage your movies. The quality of the movies are fantastic. Some of the movies which were shot in nineties seem to be available in the same quality as that of the movies which were released in 2010-11, which is needless to say remarkable. The interface is user friendly and easy to handle. There is also a traditional way of receiving your movies by post after adding it to your list on the app. So this app is also something to look out for in the entertainment sector. 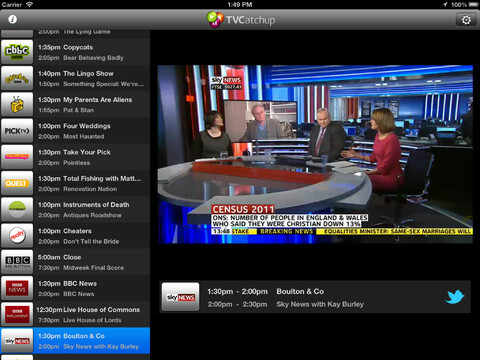 This is a decent app, it allows you to stream all tv programmes and films. There isn’t much lag, things load fast. There is a radio feature which loads without any problem as well. Download the app and you’d be able to access it all. The interface is relatively a whole lot simpler which is rather impressive. The navigation is easy and accurate and also everything is made available in excellent quality which is also good. 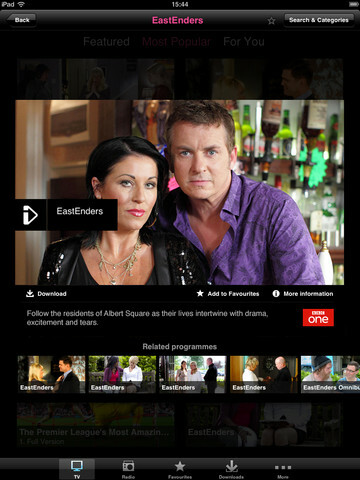 The app gives better user interface than the iPlayer on the web and also the app is a lot stabler than the web based one. So if you don’t wanna be left out on some entertainment to ahead and download this awesome app. This is a quality app which allows fast searching for the video you are looking for and it will not fail to impress you as it is one hell of an entertainment app. This app offers an incredible chat live feature in which you’d be able to invite friends of yours and watch something together which is fantastic. This app is completely free and it is exciting to see what it would bring us in the future. The first version of Zeebox was released in 27 September, 2012. The latest version of Zeebox app which is available in the App Store is 2.9.0. So if you are interested in entertainment, go for it. 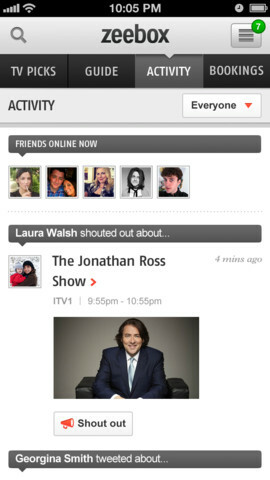 This is yet another event entertainment app which brings you ‘TV like’ experience to your iDevice. Although this was available in the browser before some time back they were available as apps. The app is stable and is easy to use. It gives decent results when viewed over your Wi-Fi connection, but the 3G gave disappointing results which is a shame. There are a good range of channels, offers solid streaming. It also shows you channels when they’re off air. The quality of the video is average and might appear soft and blurry at times, which is a let down. 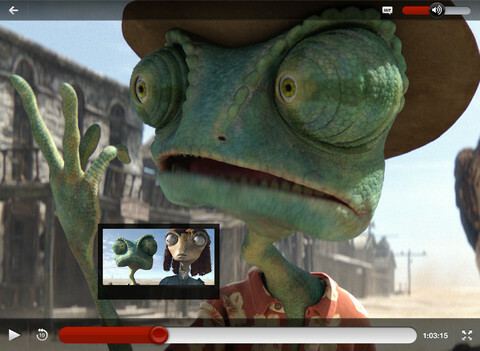 Despite all these faults, it gives you a nice TV viewing experience which is rather amazing. You can check Wi-Fi only to avoid potentially high data charges. So overall, this is a nice TV viewing app which has all the basic things you are looking for in entertainment app, so go ahead and check it out. These are our picks out of the loads of entertainment apps in the App Store. We’re sure all of these are actually worth a download. Mathew Abraham contributed to this list.